Reliable, delicious, fantastic menu chances that keep things exciting. Perfect for the family or just dining for one. Trying to order a prepared meal and the website will only direct me to the weekly kids. VERY frustrating. Worst app I have ever used! Clunky and non-intuitive. 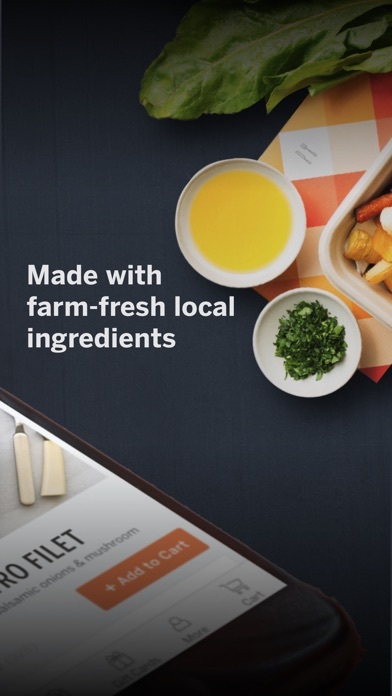 Munchery can’t get their app programming right and they fail with bland, uninspired meals that are equivalent to frozen microwave meals that are grossly overpriced (e.g., $22 for noodles!?). Don’t waste your money or time with this service. Food is good, but a subscription is lame. I was gifted my first meal and it was quite yummy. But you have to be a subscriber. That’s just great if you are a regular customer, but we all know how subscriptions are. Use them until they aren’t relevant and then they just siphon your money in the background. I don’t need a subscription to order other food, why should this be different? There are too many options out there. I really wanted to like these guys too. The meal delivery is very convenient, and it makes my life a lot easier. There are many options for gluten-free meals, which I require, however there is no way to indicate that you have food allergies in your account, so if you miss the opportunity to customize your order you might just end up with a bunch of wasted food and money. Hoping they’ll add this simple attribute to their service, the other meal services I have used have this feature, and it goes a long way toward customer satisfaction. Food used cheap ingredients, small portions. Much worse than restaurant food. Also expensive for the quality. The portions were decent and the food was good. However, for the price, there are many other delivery companies that are less and is the reason Munchery closed up Seattle and many other locations. They are losing millions of dollars and this was the nail in the coffin for them. My daughter and I tried this for three nights because I have been in the hospital and unable to cook. The food is fairly edible and quite pricey. I wish I could attach a picture of tonight‘s dinner which, in the original photo a beautiful chicken breast with Polenta and fennel sausage; What came was a spoonful of horrible looking polenta and a chicken wing. I think the price for this was about $17 plus delivery for one person! Hidden policies and terrible customer service. This app is essentially to scam you out of money from referrals. I subscribe to the weekly pre-made meal deliveries. The food is good and the price is right. However, I’m searching for a new service. To begin, both the app and the website are full of bugs. I once changed my delivery address online (on time and did everything right according to customer service) and my package delivered to the wrong address. Second, you have to choose your meals each week by a certain date. Their FAQ says they are usually online up to two weeks in advance. Instead, you never know when they will be posted (it’s completely inconsistent), so you have to constantly check the website every week throughout the week. (Convenient? A time saver? No.) Finally, I’ve had two instances in only three months where my delivery was flat out cancelled (due to a holiday or weather issues) and there was absolutely no notification (I know I didn’t miss it because customer service acknowledged they hadn’t sent one). I subscribe because I work crazy hours. If I have to plan dinner, I need to know in advance. If it’s last minute, then I end up having to order out (which costs more money). So, the fact that I could come home expecting my food to be there and it’s not, is completely ridiculous. Mistakes and issues happen, but in each case, Munchery knew in advance and could have alerted their customers. When they received my complaint, they did absolutely nothing to rectify it - to top it off. To sum it up, I’m still a subscriber. I would love to remain one because the product itself (the food and pricing) is great. But I really want them to fix (and give a crap) about these problems. If and when I find another service like this, I will be switching unless these issues are fixed. Surprised at the good amount of lobster. Mac n cheese was creamy and was not a one trick pony. It was a sophisticated cheese blend and spices that was very satisfying. The salad was extremely fresh. Will reorder more! Sometimes it doesn’t work correctly. The calendar aspect will glitch. I’ll pick one day and then go to check out a different day but it won’t load the new menu it’ll load the same menu from the previous day I was looking at. Someone shipped a dark pattern peppering the app with unnecessary animations. The result is intrusive and appear to slow things down (even if that may not be technically true). Wondering if this update was driven by ego v what helps customers order, get help, and update their preferences. 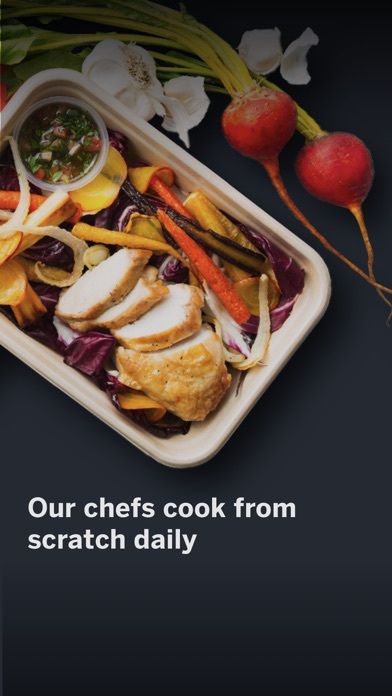 Feels like a terrible direction to head in Munchery Team. love the healthy food options. dreaming of the app to be optimized for iPhone X display. 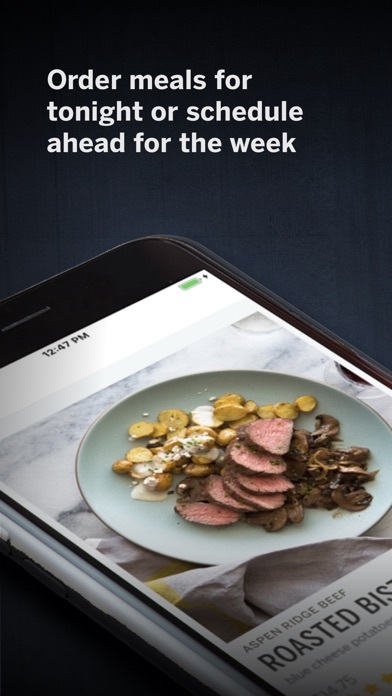 I tried Munchery because I had heard good reviews. Unfortunately we are so picky at our house that it just didn’t work out for us. That’s not why I am giving it the low review however. We have tried everything to cancel our subscription since September. Going online, e-mailing customer service and we can only figure out how to suspend service for weeks so we have to constantly go back and adjust. We have heard nothing back from our e-mails and that is the most frustrating part. Updated 2/16 I got some silly apology from Munchery who still refuses to give me a full refund for this meal. This is a terrible policy. They should’ve just given me my money back instead of making me nickel and dime and haggle with them to get $30 of my $81 refunded. What a joke. AVOID MUNCHERY! Yesterday I ordered my first meal from Munchery. It was almost 40 minutes late and there is no way to contact the driver directly if they are lost. I ordered the coffee rubbed steak which was incredibly overdone and dry. I went to customer service four times for refund and could only get them to give me back $30 of the $71 it cost me for a meal for three people. I would not ever recommend this to anyone! Bring back delivery address bar. Please bring back ability to quickly edit delivery address. It was removed on last upgrade and I was told I have to first add items to cart then go into “more” to change address to default. 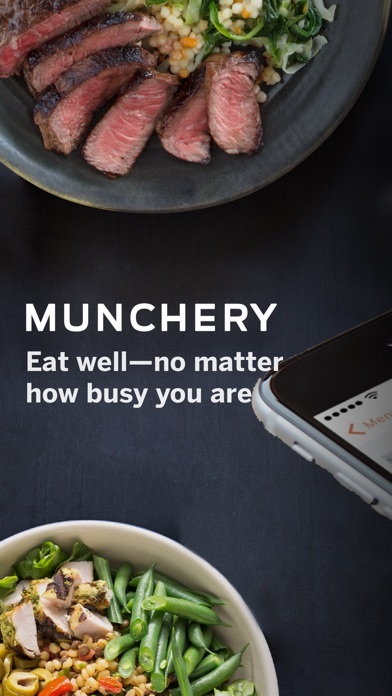 This doesn’t make sense in that’s it’s unnecessarily clunky AND Munchery has different dinner items in different areas. D Great service, very reliable! This service is fantastic! The people who delivered the food are all very nice! It always comes in the window promised. Sometimes the food can be a little salty, but they are working on providing even healthier options! Very well worth a try. I searched for a service like Munchery for a long time. I wanted fresh prepared meals that tasted like excellent home cooking. Munchery is now part of my routine- I’m so thankful for this convenient and friendly service. It allows me to eat healthier, spend less, and feel better. Love it and find it indispensable. I have been a user so it’s just about the time the service started here in Los Angeles. I’m fortunate enough to live in an area where they are met with lots of competition, yet Munchery is one of if not the best food and meal delivery service available. Our use them often. I subscribe to the monthly plan. I find that their food exceeds the expectations from what you see and read on the menu. I find that the prices are quite reasonable. Flavor is great, selection is wide ranging in the options are healthy fresh, new. They have the best delivery people. I am so tired of getting multiple calls of other delivery people trying to figure out how to get into the building or find my apartment in the building or just clueless or want me to come down to the street to get my order. Munchery comes and they come on time! Friendly staff and good support service to back it up. No negative, none! They have their limits like can’t order test early afternoon or on weekends for that day but I’m learning to live with that advance planning business. LOL Good job guys! Please keep up the great work and don’t lose the passion and what you do. The app is great and matches the quality of the service. The account page loads forever and I can't cancel or email them while that keep charging me! Help! 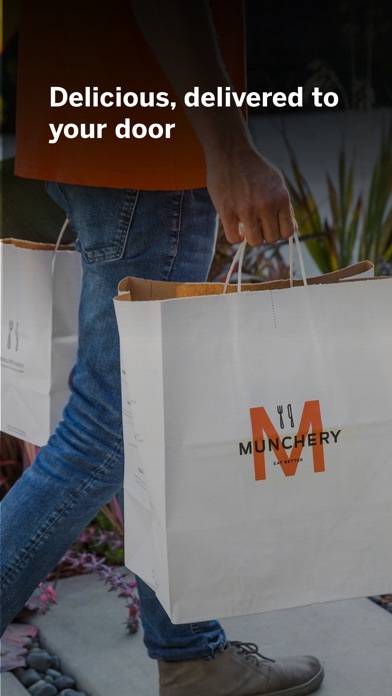 Sadly, it seems like Munchery is going the way of Sprig which is to say a dramatic decline in quality of the food which will probably lead to failure. Bummer. The last three times we’ve ordered the food has been bad. One item was described as Kale something but it turned out to be a giant pile of onions with a few flakes of kale. A tiny piece of chicken was hard, rubbery and had a weird flavor. Just generally yucky. Sad to see you go, Munchery. It was fun while it lasted. The food is good but I feel like I got tricked into a monthly membership just by ordering. Lame. Maybe I missed something, didn’t always work this way I thought the membership was optional. Now I feel like I was tricked into signing up for the membership just by ordering food again. I don’t order that often, it feels like I am being fleeced to see a fee removed from my bank account when I have not ordered In a while. Forced me to sign up monthly membership (or yearly) before I could confirm my first order Didn’t show me total cost in the app The texted link to my invoice asked for password that hadn’t ever been asked for or created Returned to app and said I had nothing ordered I think my food is still on its way but not sure Had heard great things about Munchery but have not enjoyed with the digital user experience I just wanted to quickly and easily order my dinner. Nothing more. Salmon dinner was very good but high in sodium. I'll look for low sodium options. Blocked from ordering via app??? My family enjoys the meal kits especially. They’re much easier (faster) than a blue apron type of kit, and taste great. Why can’t I see the weekly menu anymore? I don’t always have time to order before the cutoff time, so removing this feature is disappointing. I also like to plan my meals for the week beforehand but don’t want to buy the minimum of 4 meals a week they offer for their weekly plan. Charging a monthly service fee for mediocre food that is already overpriced is where Munchery really fails. Stick with regular delivery, save yourself the steps needed to warm it up, get better quality, and save some money! !